It was Monday morning, I’d say about 8.30am. I was sipping on my coffee and chancing the strings on my Musima, a German made solid wood guitar that is a real work horse. It has a cedar top and mahogany back and sides. It is a dreadnought body size with a chunky neck. It has warm and responsive tone. 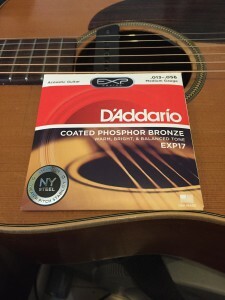 My usual choice of strings has been D’Addario EJ17. But I heard about D’Addario having their own steel mill, which allowed them to produce stronger and more stable string. This sounded like big promise, but I was willing to give it a go. My first experience was that the strings felt small bit stiffer than what I was used to. Some of you might not like this, but I actually liked it. The strings had clear and responsive sound. I thought they sounded also louder. Flat picking and strumming they responded very well. Also fingerpicking was a pleasure, the stiffness actually assisted small bit with my accuracy. I spent the morning recording guitar takes, mainly finger picking and it felt great. They recorded very well. 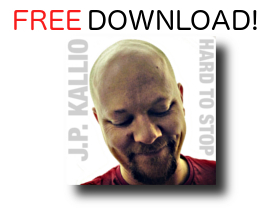 One of the tracks I recorded on the day is song of mine called “Silence” which you can check out HERE to hear the strings in action. Later I played a session (three hours, sitting around a table in a pub, playing traditional Irish music and singing songs, all acoustic) and my fellow musicians feedback was similar to my own experience, clear loud and responsive. So the strings sounded great and felt good. I’d like to point out that even though you can feel the coating on the strings, it is lot less obvious than in Elixir’s in my experience. After few minutes you actually forgot about it. So the next test was longevity. I proceeded to test the strings only using this guitar for all of my work. During the week I played three sessions, two mornings in studio ( about three hours each. I had two rehearsals, first one three hours the second five hours. I also had my regular shows with Sliotar in the Porterhouse during the weekend. This is three shows, first one two hours second four hours and the last three hours. The strings held up the whole week and still sounded great! At this point I was sold. They were the strongest strings I had tested so far. Three days and three sessions down the line the G-string (no jokes please, I’ve heard them all…) finally gave in with a quite bang. At this point the strings had done about fourth hours of intensive playing. I changed the broken string but left the rest of the set on just to see how long the would last. To my surprise, three weeks later they finally had become dull enough, that I desired to change them, but none of the other strings had broken. Oh, did I mention I can be bit heavy-handed, strings never last more than a week with me. Also these are extremely stable strings! You put them on, give them a good pull and they are set to go. There was very minimal tuning required with these strings.